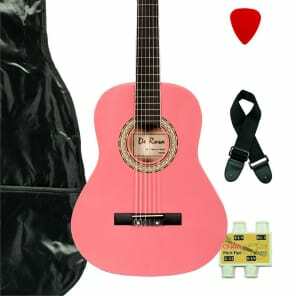 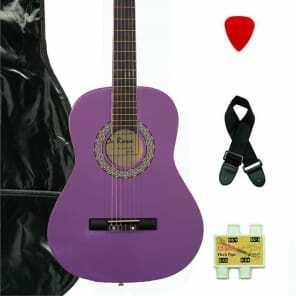 This classical guitar starter outfit has everything your kid needs to start playing the guitar. 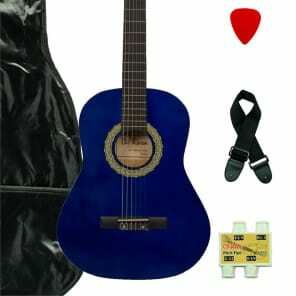 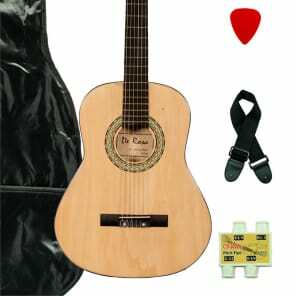 A quality 36” ¾ scale nylon string acoustic guitar is easier to play for smaller people. Includes the guitar and all the essential accessories in one box!